Channel glamour into your dining space with the dark and dramatic square Karma Dining Table from the Daytona range by Signorini & Coco. Inspired by art deco styling, the combination of luxury finishes adds to the sophisticated and refined look. The structure of the base is handcrafted from plywood with a precious dark walnut veneer. Complementing this is the original craftmanship around the edging in a beautiful wavy pattern. The top shown here is a thinly veined precious marble which contrasts to the burnished brass edging. 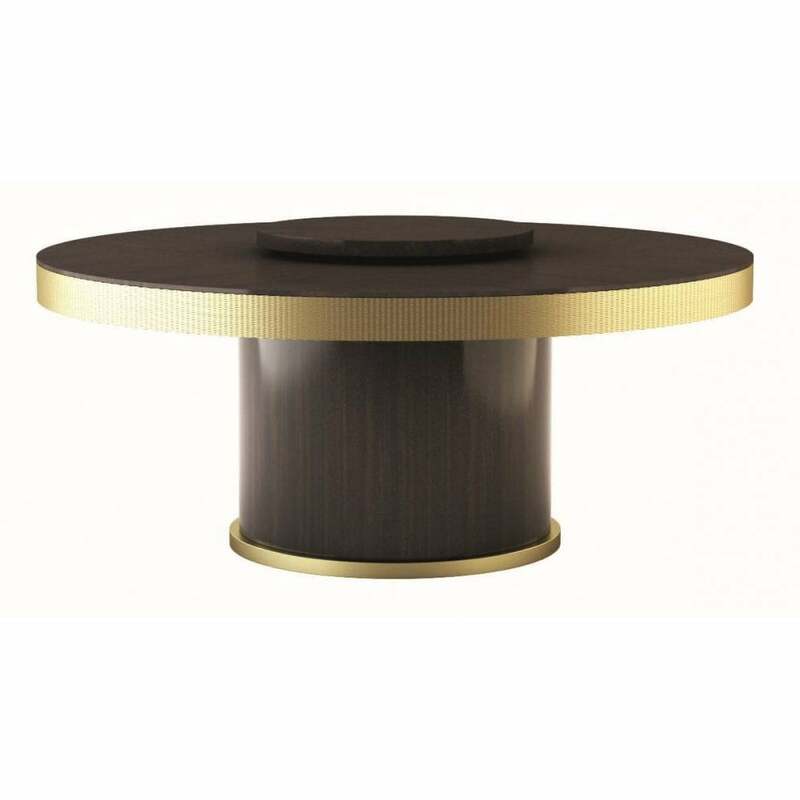 Various lacquered gloss or matt finishes are available for the surface and the base comes in a range of options. Contact us to discuss your interior requirements. The Karma dining table is also available in a square shape, perfect for entertaining.